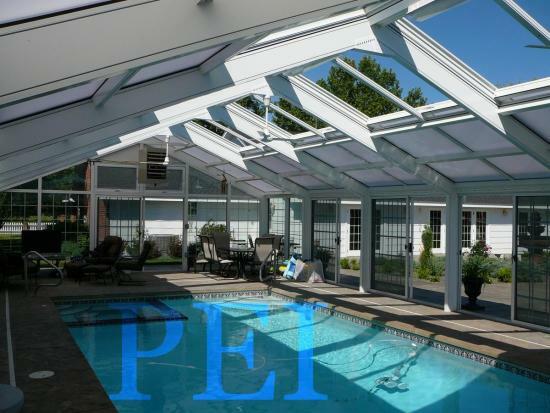 Pool Enclosures, Inc. offers sliding retracting roof panels and sliding glass doors to give you a comfortable open air enclosure. 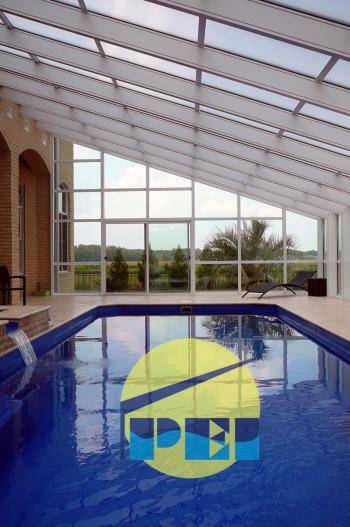 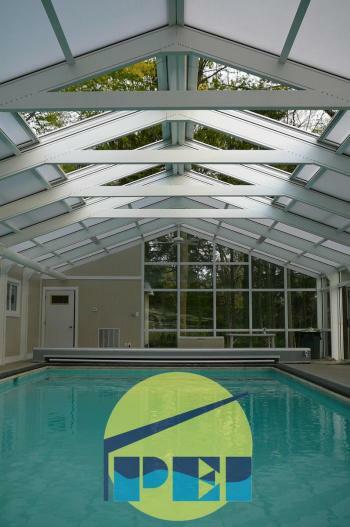 Below is a 25' x 50' freestanding pool enclosure, an ideal size for a 16' x 32' swimming pool. 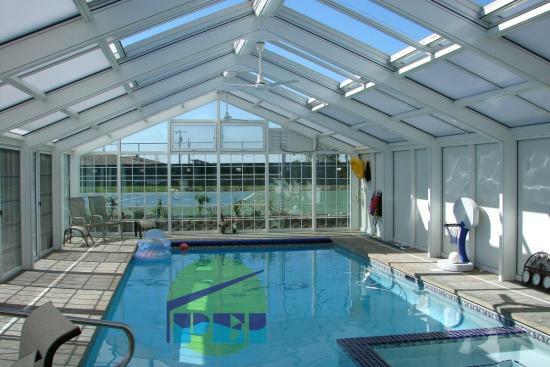 Other features include a foam-core privacy wall, 1" insulated tempered glass with internal grills, awning windows, attached equipment room, stainless steel hanging gas heater and louvered exhaust fan. 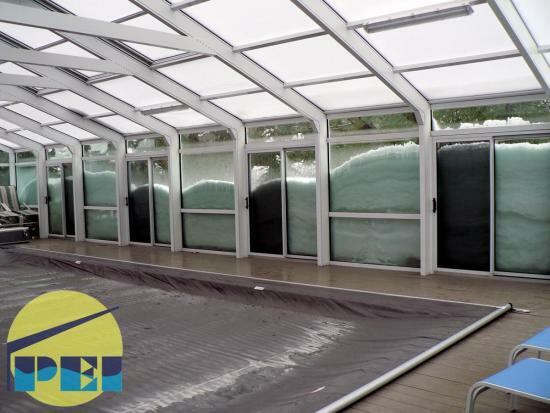 All structures are engineered to local wind and snow load codes. 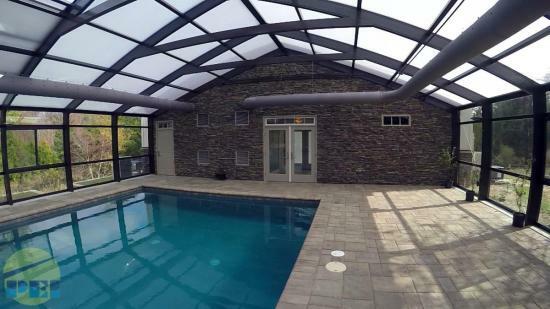 Below is a 41'-6" wide x 63'-5 1/2" gable attached pool enclosure with cultured stone wall. 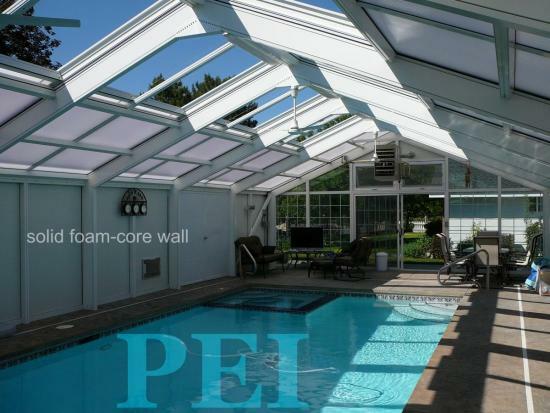 Below is a 37' x 67' freestanding enclosure with 20' x 40' pool.